You can now live that luxurious and glamorous life you have always desired. Anything is possible at Glam Life. Yachts, Jewels, Private Jets, all those luxuries you have always dreamed off. Take the progressive jackpot, making maximum bets, and become the fanciest one. 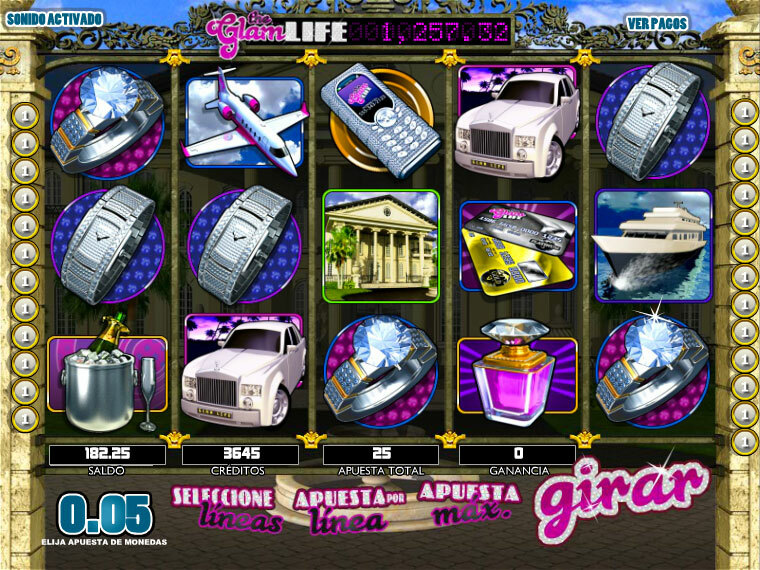 3 or more private Jet symbols on any pay line grants free spins. The more private Jet symbols you get on a pay line, the more free spins you get. Get 3 or more perfume symbols on any pay line and activate the bonus. A curtain will fall on the reels and 15 boxes with rings will appear. Select the boxes until you find the stones that match, and you will be able to win extra coins. Get 3 or more collars on any active payment line to shoot the bonus. Choose a collar and earn instant coins. 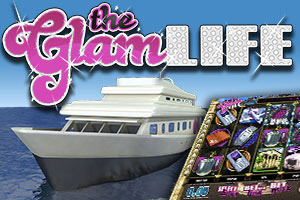 Get 5 yacht symbols on any active pay line with the maximum bet and you will obtain the PROGRESSIVE POT. Around the world: Get 3 or more mansion symbol to activate the thrilling second screen. Choose a trip to any of the three given places in the world that you would like to visit. Live a luxury life in an exclusive New York attic or visit the red carpet show in Hollywood, you choose!